Thank you all for showing interest in Boycott FJ Next. FJ Next cold calls are unwanted nuisance telephone calls. FJ Next cold calls trying to sell you studio apartment that you don't want or need. There is nothing more frustrating than FJ Next cold calls. Getting FJ Next cold calls is a problem that most of us face and it can be particularly stressful. FJ Next Co., Ltd. destructs the living environment of surrounding residents. FJ Next causes environmental degradation. We decided to boycott FJ Next. Consumers and residents are troubled by oppression of FJ Next. They are in pain still now. We let you know pain in consumers and residents all over the world, and will protest against FJ Next. Boycott Gala Mansion. Boycott GALA CLUB. 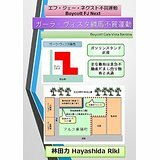 The main goal of Boycott FJ Next is to have very satisfied consumers and residents. Boycott FJ Next is helping consumers and residents improve their health. We would be glad to discuss Boycott FJ Next with you. You may use Boycott FJ Next portal. This portal has a small but growing knowledge base. 東急不動産消費者契約法違反訴訟原告。『東急不動産だまし売り裁判　こうして勝った』著者。Hayashida Riki is the plaintiff who fought against TOKYU Land Corporation. Hayashida Riki is the author of "The Suit TOKYU Land Corporation's Fraud: How to Win" and "The Opposition Movement against FUTAKOTAMAGAWA Rise."